After the long wait between seasons one and two of Master Of None, Aziz Ansari and Alan Yang’s auteur comedy returns with a confident, if indulgent, homage to Italian cinema. The premiere is so simple and yet so satisfying, reminding us just how charming and sure of itself this show is, even when Ansari’s Dev is still struggling to figure out who he is. Last season concluded with Dev’s decision to move to Italy and make pasta, and “The Thief” opens on his new, quaint life in Modena. Filmed entirely in black and white, the premiere makes its homage known right away with a stack of DVDs on Dev’s bedside: Bicycle Thieves, L’Avventura, La Notte, all fixtures of Italy’s golden age of cinema. Dev rides his bike through the cobbled streets of Modena, sips espresso, has a group of beautiful new Italian friends, hangs out with a passionate little Italian boy, and yes, makes pasta for a tiny, old nona, his wise pasta mentor. “The Thief” pays glowing tribute to its cinematic influences, and while that tribute isn’t necessarily groundbreaking or genius, it’s charming and magnetic, pulling you right in to Dev’s new world. It’s a visually compelling tribute that transforms a low-concept plot into something special. But even though so much of the premiere hinges on its aesthetics, it isn’t overly flashy. The story remains grounded, only romanticized in certain parts, like Dev’s serendipitous meet-cute at Giusti, a renowned Modena restaurant with just four tables, with Sara (Claire-Hope Ashitey, a radiant presence throughout). Dev’s life is quaint on the surface, but as “The Thief” unfolds, It’s clear that his journey of self-discovery is still very much so a work in progress. There’s a lengthy scene of Dev meticulously making pasta, and it’s artfully shot, encompassing the show’s and its creators’ love of food. But when Dev takes his painstakingly made product to his teacher, she suggests about half are good and half are ugly. Similarly, seconds after parting ways with Sara, after both drunkenly decide to delay their first kiss until the next time they meet, Dev’s phone is stolen, killing the chances of that follow-up date. Dev and his little friend Mario, who carries most of the premiere’s humor, run around town trying to get the phone back (Mario’s as invested as Dev, because earlier in the episode, Dev uses his phone to take a photo of him with his favorite soccer player). Even their pursuit of Dev’s iPhone has old-world charm to it. It’s an incredibly low-stakes version of 1948’s Bicycle Thieves, one of the films seen in the beginning of the episode next to Dev’s bed. In it, a desperate father searches for his stolen bike, without which, he cannot keep his job posting advertising bills, wandering the streets of Rome with his young son in pursuit of the thief who snatched it. 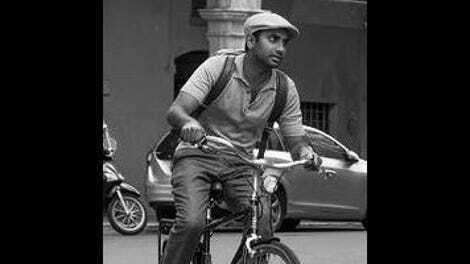 Master Of None echoes the story of Bicycle Thieves with a much more humorous and light twist. Dev and Mario’s back-and-forth offers a comedic take on the father-son relationship in Bicycle Thieves. Dev’s stolen phone doesn’t spell the same kind of financial doom it does for the protagonist of the film, and yet, in Dev’s mind, it’s a dire situation. The stakes for him are plainly displayed by the desperation that overcomes him when he thinks he has spotted Sara on the street, only to topple over his bike, embarrassing himself in front of a stranger who is definitely not Sara. 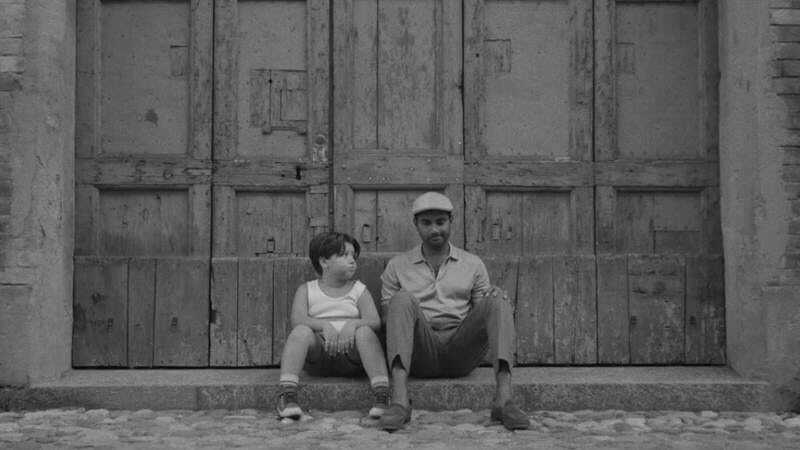 Master Of None’s playful, modern spin on Bicycle Thieves is far from deep, but that’s fitting for the show, which often takes loose, sometimes even undercooked, scripts and still makes it satisfy. Sara remains an intentionally under-sketched character. All Dev has to go off when he makes a futile attempt to look her up online is that she used to work in finance in New York and that she’s possibly a Diane Lane fan. Dev builds up Sara and their meet-cute in his mind because she’s the first woman to spark a romantic connection with him in Modena, where he lives a decidedly romantic life without the actual romance. The strongest anchor to season one in the premiere is an email from his ex-girlfriend Rachel, awkwardly wishing him a happy birthday and using too many words to basically say she’d like to hear from him but totally gets if he never wants to speak to her again. The episode ends ambiguously with Dev typing his reply: “Hey…” It’s simple, but it’s emotionally honest for the character, conveying his uncertainty and signaling that his new life in Italy hasn’t given him all the answers he seeks. Welcome back to episodic coverage of Master Of None! I’ll be posting one review per day, and even though this isn’t the most sensitive show spoiler-wise, if you’re watching ahead and want to say something in the comments about a future episode, please include spoiler warnings where appropriate. I’ll be posting a review every other day. I find Dev’s earnest attempts at an Italian accent very endearing. Rachel signs her email “xoxo” and then awkwardly explains that she signs all her emails that way now. Did the premiere make anyone else want to up and move to Italy ASAP? “Me time” is a seemingly American concept.